Saving money and saving time are the top priorities for many motorists in the Burke, VA area, use these auto-care tips to save time at the pump and save money on gas. Use the lowest grade gasoline possible for your vehicle. All auto manufacturers provide recommendations on the octane level of gasoline required for your automobile — listen to their advice. Even though you may think you are doing yourself a favor, using a higher than necessary octane gasoline only costs you more money and does nothing for fuel efficiency in your vehicle. Make sure the gas cap is as tight as possible — without breaking it of course. This may seem like a nonsense-type piece of advice, but in reality, loose, missing or broken gas caps lead to the evaporation of 147 million gallons of gas annually. Park in the shade whenever possible. Those hot summer Burke, VA days cause the inside of your car to heat-up dramatically, and the gas in your tank to evaporate much quicker than when parked in the shade. Investing in a windshield shade also will block the sunlight and keep the heat out of the car. Park in the garage whenever possible. Keeping your vehicle out of the elements of the sun and snow will eliminate the need to use the air conditioner or defroster at top fan speed, which only decreases your fuel efficiency. Keep your tires properly inflated. 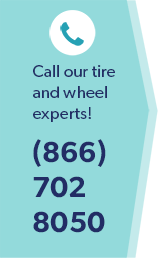 Underinflated tires wear quickly and will lower your gas mileage. When tires are low on air, there is more resistance on the driving surface which forces your engine to work harder and use more fuel. For more information on any of these gas saving tips or for any of your car care needs, stop in to Wiygul Automotive Clinic today.